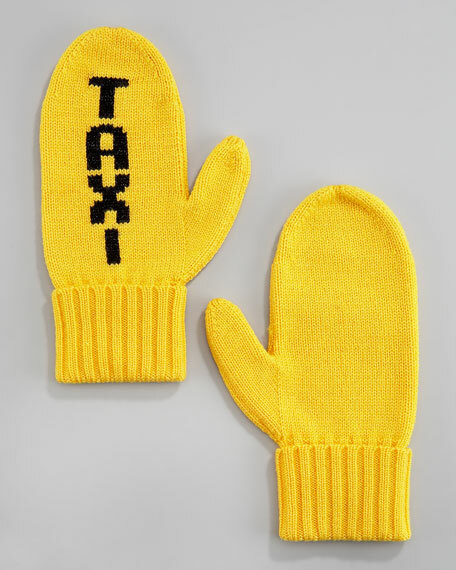 No more standing in the cold trying to hail a cab for you! 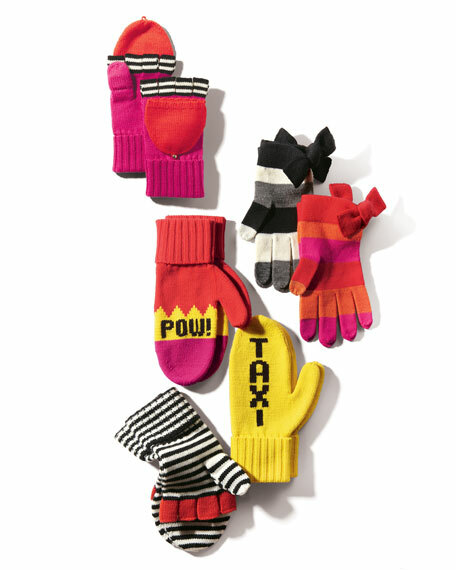 These kate spade new york mittens put the fun in functional, keeping you warm and getting you a ride. You'll love that you can wear the letters on the underside for when you need a taxi, or the back of your hand for statement-making style. Yellow ribbed knit with black "TAXI" on one hand. Fold-over ribbed cuffs around wrists keep mittens in place. Gift boxed for kate spade new york presentation. In 1993, former magazine accessories editor Kate Brosnahan created a sleek black handbag under the label kate spade new york that became famous around the world. In 2007, Deborah Lloyd, formerly of Banana Republic and Burberry, took the helm as president and chief creative officer with an aim to broaden the line while honoring its history. Craig A. Leavitt joined shortly thereafter to realize the global potential of the brand that now has dozens of retail shops, a thriving e-commerce business, and boutiques around the world and has grown to include shoes, jewelry, fragrance, eyewear, hosiery, tabletop, paper, and women's ready-to-wear.